We're barely into this façade and if I'm feeling this way already, what's going to happen in a week and after that? Deep down, I know I'm heading for a heartache so severe it might just destroy me once and for all. And yet, despite the dear, I'm not going to push it away. Because how lucky would I be to fall in love with this man? I don't think many people truly get to do that, even if it's all a lie in the end. This book was so above and beyond what I thought--what I had hoped!--it would be! 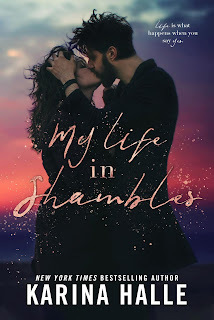 I've read a lot of Karina Halle's books, but dare I say that My Life in Shambles is her best work in terms of contemporary romance. To be perfectly honest, I'm not a huge fan of the whole fake relationship trope, but it takes an extraordinary bit of writing for me to sit up, take notice, and get my cynical romance-loving heart fully invested in not just the story but its cast of characters. And that, fellow readers and bookaholics, is exactly what happened with Halle's latest book offering. They say bad things happen in threes; just ask Valerie Stephens. In the span of a few days, not only did the twenty-four-year-old writer lose her boyfriend and her home, but she lost her job as well. Rather than be forced to listen to where she went wrong from her overly critical mother, Valerie decides to join her sisters on a trip to visit the country of their heritage: Ireland. It's the beginning of what her sisters think should be Val saying yes to more new adventures in her life, and no adventure could be greater than the one she embarks upon with a hot rugby player. Padraig McCarthy isn't having the best of days when he heads to his favorite pub in Dublin, but things could be looking up when he meets a beautiful American redhead who has no clue the twenty-nine-year-old is a fly-high with Leinster Rugby. When he extends an invitation for her to join him as his fake fiancée on his trip back home to Shambles to visit his ailing father, Padraig is surprised when Val accepts. They may share a connection, but he needs to remember that this is all pretend and has a deadline. The secret Padraig's keeping, though, is all too real. Oh my heart! This book made me laugh and it made me swoon, but it also brought tears to my eyes on more than one occasion. Trust me when I tell you that there is SO much more to this story than just Padraig and Val pretending to be an engaged couple. That's barely scraping the surface because these two--along with their respective families and the Irish town of Shambles--have one heck of a story to share with readers. There are no huge revelations because readers have a front row seat and experience everything at the same time these two do. 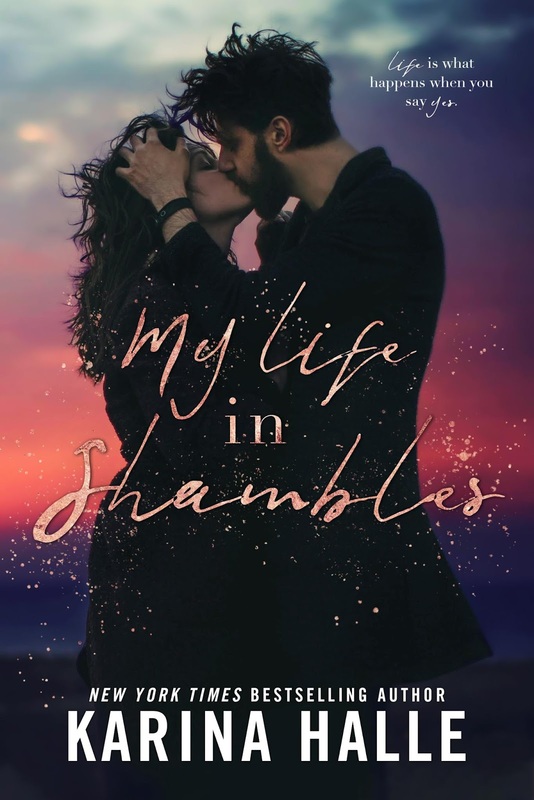 Purchase My Life in Shambles on Amazon.